Reeta started out as a producer on BBC Radio 4, working on the Today programme, the World at One and PM before becoming a reporter on 5 Live Breakfast, in which she covered the French presidential elections, and the Dunblane killings. She later became a general news correspondent working in television as well as radio. In 1997, she became the BBC Community Affairs Correspondent, covering the Stephen Lawrence inquest, and subsequent public inquiry. She has also covered home affairs, including the Damilola Taylor murder trial; and Health. 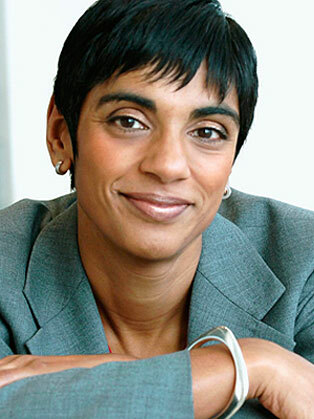 During her time at Westminster from 1999, as Political Correspondent for the BBC, Reeta worked across a range of programmes in television and radio, reporting on political stories for BBC1, BBC2, BBC News Channel, BBC Radio 4 and BBC Radio 5 Live. During this time, Reeta covered three general elections, and several changes of party leaders, with other notable stories including the cash for honours affair, MPs expenses, and fronting audience reaction pieces, known as the "Worm" after the election leaders' debates in 2010. In 2011, Reeta became Education Correspondent, where she covered changes to university tuition fees; the introduction of free schools, growth in academies and changes to exams and the curriculum. She reported from South Korea on why East Asian pupils are further ahead than those in Britain in international league tables. In addition, on the social affairs side, Reeta has reported on stories relating to adoption, poverty, and social mobility in the UK. Abroad she has looked at the success of women bankers in India, and why the pace of life in Denmark is healthier than in the UK. Recent reports include looking at the issues of abortion in Chile and in Poland, the rise of female executives in India, the trafficking of young women from Albania, and the migrant crisis in Europe. She has also presented on the BBC News Channel, BBC World, and Radio 4's The World Tonight. Reeta has chaired and hosted many corporate events, including several Education Television Award Dinners at the Royal Television Society, plus conferences on climate change, the criminal justice system, the NHS, and the travel industry. Reeta is a fan of the poet, John Keats, and used this as her specialist subject on Celebrity Mastermind! She also took part in a celebrity episode of Only Connect for Comic Relief.